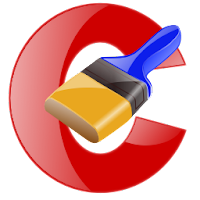 T3ch Blog: CCleaner : Clean your Registry ! CCleaner : Clean your Registry ! Registry cleaners are incredibly helpful tools for your PC, but they all weren't created equal. Out of all the different cleaners on the market today, it's becoming increasingly difficult to pick a registry cleaner which will actually work the best on your PC. Although there are so many registry cleaners on the market now, they are all made for one reason... and that's to clean out the core area of Windows called the registry. The registry is a database which not many people know about. It's known as the "nerve center" of Windows and is where all your computer's settings and options are stored, from your desktop wallpaper to your latest emails. Think of it as the "memory" for your PC - where it stores files that it can pick up at another time. Registry cleaners have been designed to clean out this database, and with 1,000's of corrupt registry files on your typical PC, it's vital that you find the best one to clean it with. Typically, the best registry cleaner is one which actually finds and fixes the most problematic files on your PC. These files are crucial to the smooth operation of your computer, and so the more you fix, the quicker & more stable your PC will be. From my experience, the best registry cleaner is CCleaner.CCleaner is becoming one of the most popular PC tools out right now,because ability to clean up more problems than most other registry cleaner. It does this because it uses some of the latest scanning technology, to find the most problems and fix them for you.